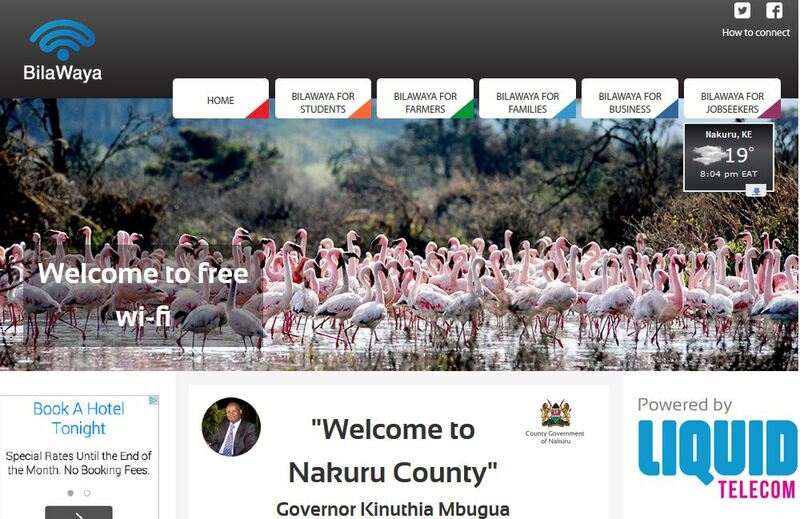 Nakuru, a small market town with a population of 307,000, is a beneficiary of an initiative by Liquid Telecom and the Kenyan government whereby residents have been enjoying access to free internet via WiFi for about 9 months now. It was officially launched on 14th March 2015. Job Seekers – Bilawaya has opened up a world of jobs and learning opportunities especially for Kenya’s youth. Young people can now access a huge range of jobs from skilled positions like teaching to unskilled work like data entry jobs that can all be done online. All one needs is an online bank or funds transfer account like PayPal and an email address and you’re good to go. Business Owners – Free WiFi is accelerating Nakuru’s business growth and enabling its gradual evolution towards an information economy. The ‘Bilawaya’ portal compliments this through increased access to marketplaces, customers, training, staff and resources – as well as access to useful services, like accounting and marketing. Impact on Families and Family Life – Bilawaya provides access to a wide range of information services like advice on medication, free learning materials and children’s books, as well as providing an online location to buy anything be it electronics or clothing items online. Impact On Farming – Farmers have not been left behind either. 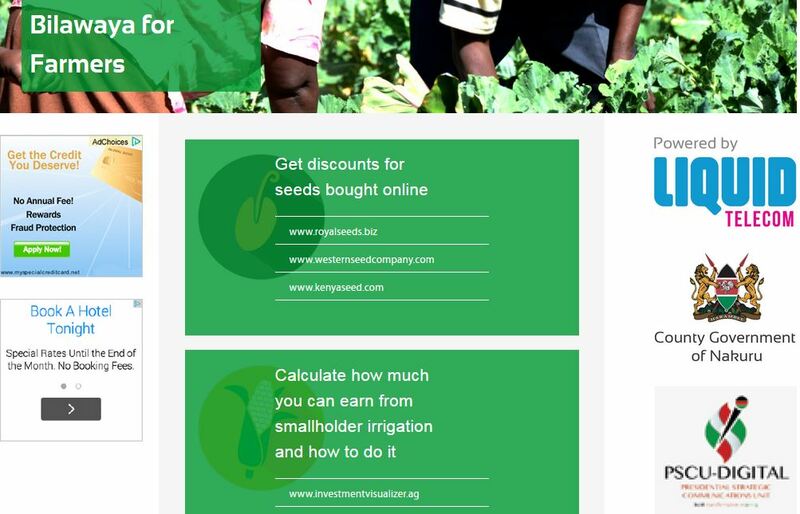 They now have access to online information and tools that can help increase their farming yields and subsequent income by proving access to information on farm management, discount prices and access to seeds and other raw materials, providing a wealth of knowledge on diagnosis on plant diseases and methods of calculating Return On Investment on different projects that they choose to undertake all in the planning stages. Some of these essential tools are listed on Nakuru WiFi’s website. Impact on Student Life – The Nakuru Campuses of Jomo Kenyatta University of Agriculture and Technology and Mount Kenya University are within the Bilawaya 10 Kilometer radius. Students in these universities have gained access to crucial information such as alternative or further-learning academic institutions and newer courses in other such universities around the globe. They are also able to access information on research project funding and scholarships that they can take advantage of. Students can also use the service to access study guides, aides, and resources ranging from online libraries to document storage and formatting and data collection and collation. Bilawaya has also been an enabler to eLearning which has been known to increase information retention among students by up to 60% according to the Research Institute of America.